The patriotic audience was worked into a pro-American, anti-Mexican frenzy by Katt Williams. They gave Katt Williams a standing ovation. The facts. In his tirade, Katt Williams claims that Mexicans never fought for California. Actually, the United States invaded Mexico between 1845 to 1848 in order to steal Mexican and Indigenous land, but also to — wait for it — extend slavery. It was necessary to annex more land in the southern region in order to extend the slave states in order to keep the ratio between slave and free state even, in order to keep the Missouri Compromise. According to one source, there were 25,000 Mexican casualties in the war and 13,780 American ones. This figure does not include civilian deaths that happened as a long-term result of the conquest. Most victims were Mexican and indigenous peoples. Not only did thousands die then, they continue to die to this day. This occupation and theft of land was part of the process of what was termed “Manifest Destiny,” the belief that America, and White civilization, had a duty to conquer and rule all the lands from coast to coast. This belief was used not only to steal Mexican land and depopulate it, but also to wipe out countless Indigenous civilizations in the greatest land theft and genocide in history. The same White supremacist justifications that were used to steal Mexican land were also used to justify the enslaving of African peoples. Racist rhetoric, such as Katt Williams’, was also used in subsequent depopulation campaigns. Similarly, the rhetoric is used to justify the endless wars by the United States against the Third World. Similarly, it is used by the police against Black and Mexican communities within the USA. Katt Williams, you are Uncle Sam’s jester. Just because people migrate here, they are not obliged to “love it,” as Katt Williams, echoing the Klan and Tea Party, states. For the most part, peoples of the Third World migrate to the United States because imperialism has ravaged the Third World. The wealth of the First World is connected to poverty in the Third World. Mexicans, and others, migrate to the United States to survive. They are willing to risk their lives crossing deserts, willing to risk incarceration, willing to risk extortion by mafias, willing to endure racism and terror, in order to survive. The fact that so many millions come to the United States is not a testament to the greatness of the United States, but to its errors. At the same time, it is true that those who come here enter the First World. For the most part, they become part of the system and aspire to advance themselves within it. They integrate into the First World. They, unfortunately, do come to “love it,” or at least become comfortable enough not to challenge it. Their proletarian memory fades. It is no surprise that Katt Williams’ racist tirade was received with loud applause from his, mixed Black and White, audience. The mass outburst of American nationalism and racial hatred helps show that it is a myth that Blacks in the United States are a revolutionary social base just waiting to be tapped, just as it is a myth that poor Whites are. It is no surprise that Blacks share many of the same attitudes as Whites on the subject of migration. The claim that Blacks, Whites, Chicanos, and even Mexicans within the borders of the United States constitute a significant social base for revolution is false. At present, in the United States, the handfuls that can be organized around national liberation or pseudo-socialist programmes (or real communist ones, for that matter) are numerically insignificant. They are anomalies, just as the handfuls of Whites who are willing to organize around pseudo-socialist programmes (or real communist programmes, for that matter) are. Generally speaking, this is why, in the First World, it is better to just organize anomalies across the board — Black, White, Mexican (within the US), etc. — rather than playing to mythological or unreliable and insignificant social bases. First World populations on the whole already receive more than their fair share of the world’s social product. The lives of First World peoples, on the whole, are not sustainable. To tell them they deserve more fans the fires of imperialism and fascism, even if it is disguised in “left” rhetoric. This is why it is important to put the Leading Light Communist, altruist demand front and center without pandering to social-imperialist economism. We must demand that everyone serve the people, but on a global scale. Appeal to the best in people, not the worst. Appeal to their highest and best aspirations for a better world for all, not their narrow and self-centered ones. Appeal straight to all anomalies in the First World with the carrot of a totally new world and altruism rather than dangling economic carrots in front of First World peoples. The latter, the trademark of First World populism, is an imperialist demand in disguise. The Leading Light was the first to really understand global class in the contemporary era. Pantherism is important to learn from, but Pantherism is the past, not the future. It is time to look forward, not backward. Follow the Leading Light all the way. Be the Leading Light. This movie portrays a pro-american view of the conquest of california. even up to today their children are raised into the white american manifest destiny ideology. 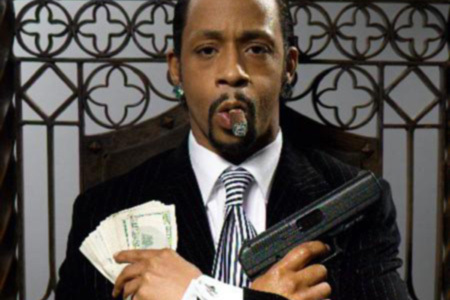 Katt Williams has set black people back 100 years in mere minutes. Ignorant knee-grow.